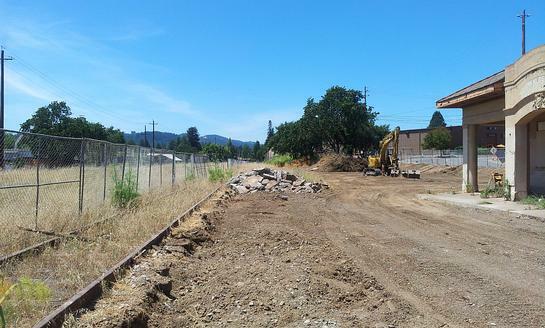 9 PHOTOS FOR HEALDSBURG PASSENGER AND FREIGHT DEPOT. 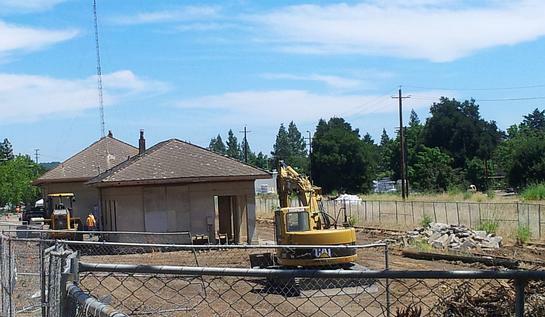 Looking south from the street you see the passenger depot and freight depot behind it. South end of the freight depot. Looking south from the tracks. Looking north down the tracks. 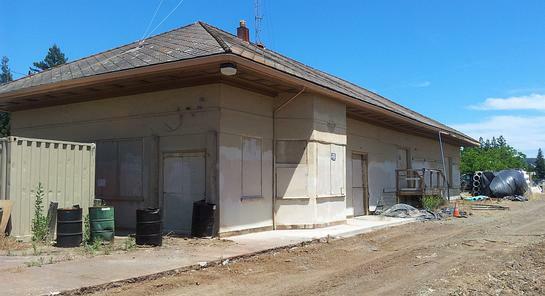 The passenger depot is a quaint style from 1872 and remodeled in 1928.